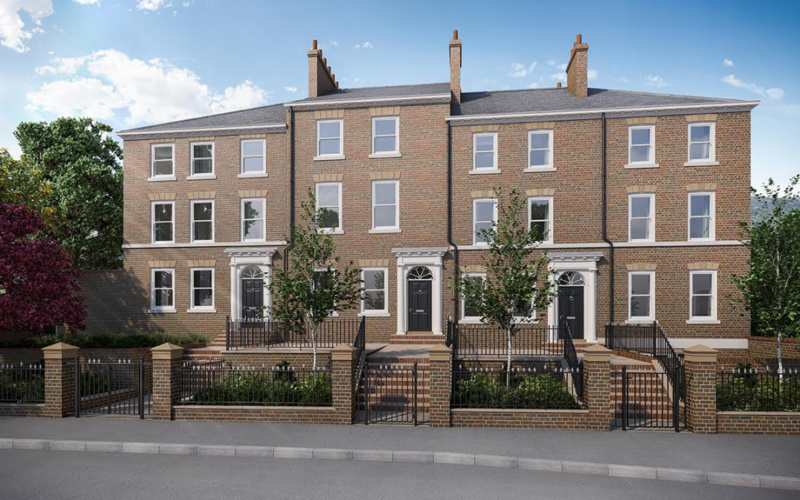 A luxury selection of seven new +£1m homes ​is being created by Helmsley Group on Knavesmire Road, York. The Mount Vale development, on the site of the former Newington Hotel, includes four townhouses, two coach houses and one villa. It is set to complete in January 2018 and the homes will reflect York’s Georgian past. Helmsley Group is acting as project manager on site and advising on financial investment. Helmsley Group is set to start construction of a £15m mixed use scheme at the former Fire Station on Clifford St, York. 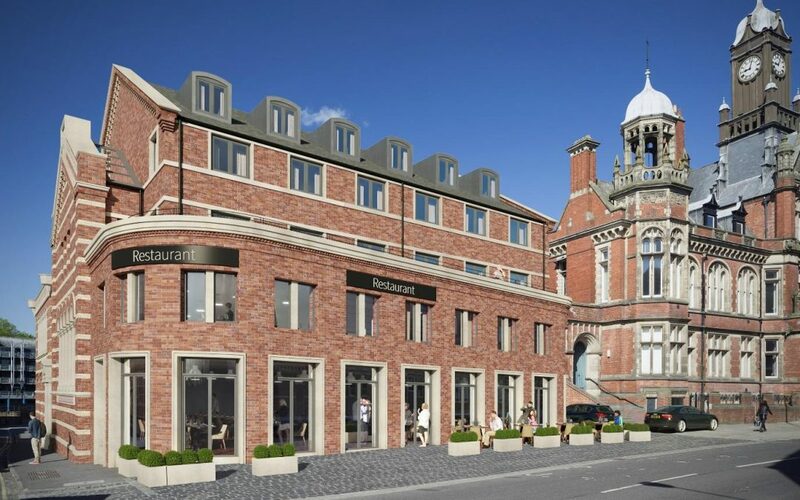 The major development comprises 14 luxury apartments and townhouses, as well as a new restaurant with stunning views of Clifford’s Tower. The magnificent homes will boast views of the River Ouse to the South and Clifford Tower to the North. Max Reeves, Director at Helmsley Group comments: “This scheme looks set to create a new benchmark for residential values in the city, offering incredible views for the lucky buyers. The project is a joint venture between Helmsley Group and London Ebor Developments. Caddick construction is acting as contractor. Our chairman John Reeves has just returned from a trip of a lifetime – motorbiking 2,500 miles across the Himalayas. After receiving an unexpected cancer diagnosis five years ago, John has completed motorbike trips to India, South America, Asia and the Middle East. He now has the all clear and is planning his next challenge to Burma. 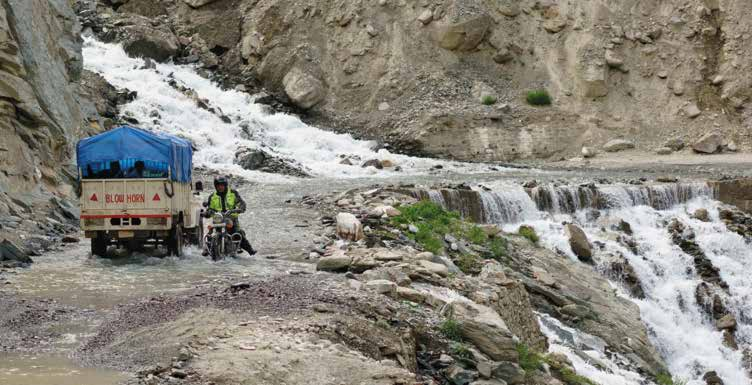 The trip to Nepal included 2,500 miles by motorbike across mountain passes and fast flowing river beds. Climbing to heights of over 18,000ft, some of the group were plagued with altitude sickness and others endured freezing temperatures and broken bridges. John says: “I’m pleased to get home in one piece after what was a truly epic adventure. The scale and sight of the Himalayas was a really humbling experience and I can’t wait to take on Burma next!”. Helmsley Group Associate Director Max Reeves completed the legendary Dragon Back Race earlier this summer. Known as the world’s toughest five-day mountain race, the epic run is a 200 mile, 15,500 metre ascent across wild, trackless and mountainous terrain in Wales. The Yorkshire Post recently ran this insider’s guide to being a developer from our Chairman John Reeves. From man-sized caterpillars to buried Romans, John Reeves, Chairman and developer extraordinaire at Helmsley Group in York, gives us his top tips on becoming a developer. Whilst inspecting a property at a dark, dank cellar, with a tiny torch under what is now Missoula Bar on York’s riverbank, I scared the hell out of myself when a huge, man sized, caterpillar-like object shuffled across the floor. In my panic to get out, I bashed my head and promptly knocked myself unconscious. Awaking some minutes later, I found that the caterpillar was in fact a tramp in a sleeping bag. He leant over me and I knew my days were numbered. In fact, he turned out to be kindness itself and helped me back up so I could get on with my day. Top tip no 1: Always expect the unexpected! Murphy’s law says that if it’s going to go wrong, it will! In development terms, when it does, this can throw even the best laid plans to waste. Tip no 2: Rules are rules. Today’s development sector encompasses a myriad of red tape, from health and safety to planning rules. All of which can have serious consequences if you cross the wrong lines. We have a combined experience of over 36 years at Helmsley Group, yet no traditional developer can ever hope to know all these rules, hence we always employ specialists in each subject, whose job it is to try to get the rules right and keep everything on track for us. Tip no 3: Time is money. Planning and building delays invariably cost you dearly. It’s rare to get projects done more quickly than you think, even when you’ve been pessimistic with your planning in the first place. Tip no 4: It always costs more than you think. Don’t underestimate the costs of getting planning permission or the actual building work done. In York, archaeology is a best guess and having just found deceased Romans on a site, which the developer pays to have cleared up, this can cause havoc with an appraisal! Tip no 6: Beware of the ‘customer’. Our development customers are generally solid, reliable people. However, when we’re selling a scheme we do run in to some interesting characters who can spin a good line about their circumstances; some ‘customers’ are in fact professional property viewers, who spend their weekends inspecting property but have no intention or ability to buy. Unfortunately, some people do live in a fantasy financial world too. One thing for certain is that development is never boring. Nothing ever goes according to your original plans and something unexpected can always throw you off course. That said, I would recommend becoming a developer to anyone, as long as you’re thick skinned, have the patience of a saint and are un-shockable!